Contact Me At : megan03watson@gmail.com These skis are a matching pair 2005 Sea-Doo RXP . They have been babied and pampered.The Skis are in perfect condition ,only 80 hours on it. The trailer is for free.Both boats have ONLY been used in fresh water.Neither boat has ever been upside down or beached. Length 133 inches Beam 47 inches Dry Weight 904 lbs Engine Four-cylinder DOHC EFI; Supercharged/Intercooledd Displacement 1,498 cc Bore and Stroke 83mm x 69.2mm Compression Ratio 7.8:1 Rated Horsepower 250 Fuel Capacity 20.6 gal. Combined Stowage Capacity 60.0 gal. Colors Sunbeam Red, Valiant Blue, Jet White/Lime Green 65 hours WOW, look at this 2007 Kawasaki Ultra 250x, 3 seater, supercharged Jet Ski. This ski is nearly flawless with only 65 hours on it. 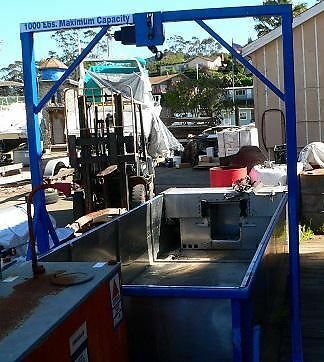 It has never been left outside, in the water, or on a lift. It was a 1-owner, stored indoors and on the trailer. We have both keys for the unit, the fast and slow key, plus the lanyard. Trailer included!!! 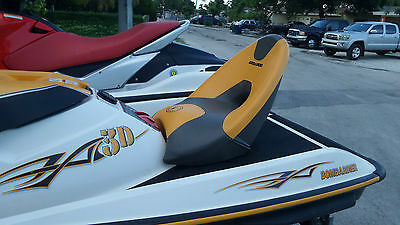 2001 KAWASAKI ZXi 1100 1100 ZXi 2001 Kawasaki ZX1 1100 Jet Ski Trailer Watercraft Jetski Jetski PowerSports Boat Vital Information Year Make Model Mileage Engine 2001 KAWASAKI ZXi 1100 1100 ZXi 0 1071cc 3-cylinder Exterior Interior Stock# VIN Yellow Black #58B101 KAW31758B101 view window sticker View All Photos Description 2001 KAWASAKI ZXi 1100 1100 ZXi NATIONAL AUTO WAREHOUSE 11060 Terrapin Station Lane Knoxville, TN (865) 245-4524 ---------------------------------------------------------------- This 2001 Kawasaki ZX1 1100 Jet Ski with Trailer is proudly offered to you for sale by National Auto Warehouse. 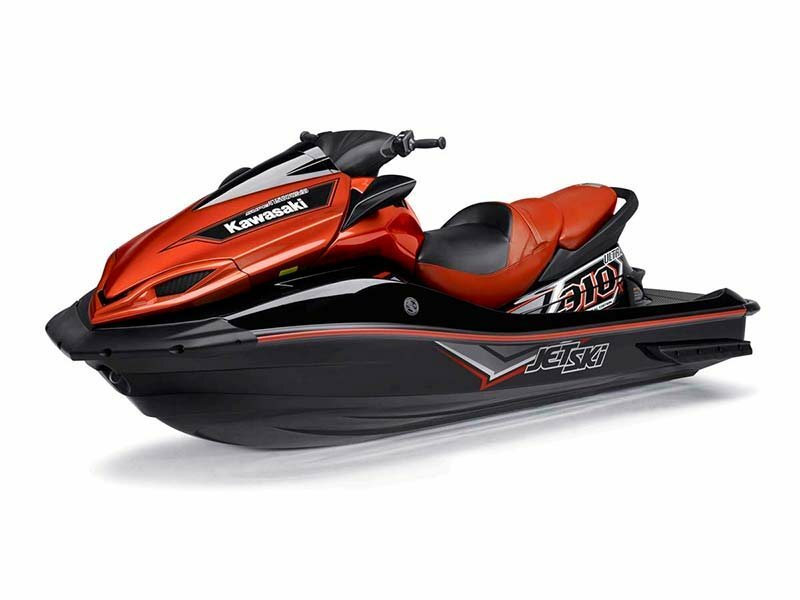 ---------------------------------------------------------------- For personal watercraft enthusiasts who want to spend less and buy more, the 2001 Kawasaki 1100 ZXi is the perfect watercraft. The high powered boat delivers maximum performance and state of the art features at a price point that's pleasing to the pocketbook. With the 1100 ZXi you get increased fuel economy, precise turning and analog instrumentation, plus other added features like convenient storage compartments and a large capacity fuel tank. For water sports enthusiasts looking for a high performance boat filled with convenient features at an affordable price, the 2001 Kawasaki 1100 ZXi offers an exceptional value. LENGTH 108.7" HEIGHT 39.3" WIDTH 42.1" WEIGHT 589 lbs. ENGINE 1071cc, 2-stroke, 3-cylinder with crankcase reed valve induction HORSEPOWER 120hp @ 6750rpm DISPLACEMENT 1071cc BORE X STROKE 80.0 X 71.0mm COMPRESSION RATIO 5.8:1 CARBURETION Triple Keihin CDCV 38s with single fuel pump FUEL TANK CAPACITY 13.7 gal. including 1.8 gal. Reserve IGNITION Digital CDI STARTER Electric LUBRICATION Superlube Oil Injection OIL CAPACITY 1.0 gal PROPULSION SYSTEM Jet pump, axial flow, single stage THRUST 803 lbs. ---------------------------------------------------------------- For more information please call or email Brent (865) 245-4524 ---------------------------------------------------------------- Directions: Take Interstate 40 West to Exit 374 Lovell Road. Take Right onto Lovell Road and go about One Mile. Take Left onto Terrapin Station Lane. National Auto Warehouse is at the End and on the Left. ---------------------------------------------------------------- Contact Us Dealer Contact National Auto Warehouse Brent Lesmerises sales@nationalautowarehouse.com (865) 245-4524 Other Vehicles Currently Available Used Cars Knoxville, TN Welcome to National Auto Warehouse National Auto Warehouse (NAW) was founded in 2005. NAW is a family owned and operated independent pre-owned vehicle dealership. Ever since opening the doors, our mission has been to provide our customers with top quality vehicle brands and sell them at a reasonable price. We list our vehicles for sale on several web-sites, providing detailed descriptions with plenty of photographs. We sell locally, out-of-state and internationally. We offer nationwide door-to-door transport, free local shuttle service from McGhee Tyson Airport and access to local Budget, Enterprise and National rental car companies. Our reputation, technical knowledge and experience in specialty markets, such as Diesels and Hybrids have led us to expand and provide everyday automotive repair services. We service all European & Asian vehicles. We also specialize in servicing domestic and foreign Diesel cars and trucks. Pre-Owned Sales Department Let us serve you by finding a reliable and safe vehicle. From A to Z, we've got you covered. Our entire inventory of vehicles have been professionally inspected and serviced. Need a Carfax? No problem, as a Carfax Advantage Dealer, each and every vehicle comes with a FREE vehicle history report. Warranty? every vehicle we sell, comes with a limited warranty. Can't find what you're looking for in our inventory? Give the Sales Team a call, we're excited to hear from you and appreciate the opportunity to earn your business. Local: (865) 245-4524 Toll-Free: (800) 971-7492 Email: sales@nationalautowarehouse.com Service / Parts Department National Auto Warehouse's Service Department's mission is to provide you with FREE estimates on any service to keep your car optimized for the best performance and regular routine maintenance. Whether you need an oil change, new tires, tune-up, brakes or any other services, we provide a FREE inspection and FREE estimates on any repair(s). National Auto Warehouse will beat any franchise dealership's written estimate by at least 20% (tires are excluded) Own a Hybrid? We service all Hybrid makes and models. Need parts? We have alternative options to help you find the accessories and/or parts you are looking for at a fraction of the cost the dealerships want you to pay. Our Service Department's commitment is to provide you with superior service. To schedule an appointment or for general information, please call us at your convenience. Local: (865) 245-4524 Email: service@nationalautowarehouse.com Visit our National Auto Warehouse Service Department Facebook page National Auto Warehouse | 11060 Terrapin Station Lane Knoxville, TN 37932 Used Cars Knoxville TN National Auto Warehouse provides a large selection of Used Cars and Trucks for sale. We also offer Auto Repair Services TERMS & CONDITIONS $300 DEPOSIT: Due within 48-hours from the date & time the auction ended We accept: PayPal or Credit Card (Visa, Master Card, and American Express) DEALER FEE: $99 dealer-processing fee will be added to the purchase price TAXES: If vehicle will be registered in the State of Tennessee, we will collect TN taxes If vehicle will not be registered in the State of Tennessee, we will not collect taxes FULL PAYMENT: Due within 7-days from the date & time the auction ended We accept: Cashier's Check, Bank Loan-Check, Money-Order (not recommended), Certified Bank Funds, Bank Wire-Transfer, and Cash (in-person only) TEMPORARY TAG: This vehicle comes with a temporary tag Temporary tags are valid in all 50-States TITLE: This vehicle will be sold with a clear title (no current liens) Payment will be validated prior to release of the Title VEHICLE PICK-UP: Please contact us at least 24-hrs in advance of your arrival phone: (800) 971-7492 TERMS OF WARRANTY: This vehicle is being sold "As-Is" with no warranty implied by the seller, National Auto Warehouse, Unless otherwise stated in the description. INSPECTION Each pre-owned vehicle is inspected to evaluate the condition of its exterior, interior & mechanical components Photographs have been provided to show the vehicle's overall condition. Pre-owned vehicles will have components that exhibit typical wear per age & mileage. Inspections include, but are not limited to the following: Mechanical Components: engine, transmission, exhaust, Air Conditioning (A/C), electrical, suspension, steering & cooling Exterior Components: paint, glass, body panels & roof Interior Components: seats, carpet, headliner, dash, and factory-installed power-features Accessory Items*: Pre-Owned vehicles may not have all of the originally included accessory items; therefore, accessory items not shown in photographs are not guaranteed to be included *Accessory items include: vehicle manuals, multiple keys, remote keyless-entry fob(s), radio codes, CD/DVD cartridges, floor mats, locking lug-nut keys, lighters, cargo area cover(s), cargo net(s), prior service records, tools, first aid kits, soft top boots, etc... MILITARY TAX EXEMPT POLICY Notice to Members of the United States Armed Forces Members of the armed forces stationed at Fort Campbell, Kentucky are considered stationed in Tennessee Tenn. Code Ann. 67-6-303 EXEMPTS FROM SALES AND USE TAX the sale of motor vehicles to members of the armed forces who fall into any one of the following five categories: Members of the United States Army, Navy, Air Force, Marine Corps, or Coast Guard who are engaged in active, full-time military service and are stationed in Tennessee. Members of the Tennessee National Guard who are engaged in active, full-time military service as participants in the Active Guard and Reserve Program (AGR) and are stationed in Tennessee. This category does not include any member who serves on a part-time basis or who is otherwise not a participant in the Active Guard and Reserve Program. Reserve members of the United States Army, Navy, Air Force, Marine Corps, or Coast Guard, who are engaged in active, full-time military service as participants in the Active Guard and Reserve Program (AGR) and are stationed in Tennessee. This category does not include any member who serves on a part-time basis or who is otherwise not a participant in the Active Guard and Reserve Program. Members of the Tennessee National Guard who have been called into active military service of the United States and are stationed in a combat zone; provided that the exemption will commence from the effective date of official military orders assigning such individual to the combat zone and will expire ninety (90) days after the effective date of official military orders releasing him or her from the combat zone. Reserve members of the United States Army, Navy, Air Force, Marine Corps, or Coast Guard who have been called into active military service of the United States and are stationed in a combat zone; provided that the exemption will commence from the effective date of official military orders assigning such individual to the combat zone and will expire ninety (90) days after the effective date of official military orders releasing him or her from the combat zone. For more information, please visit www.Tennessee.gov/revenue BBB ACCREDITED BUSINESS CANADIAN BUYER INFORMATION The Registrar of Imported Vehicles (RIV) was created to establish and maintain a system of registration, inspection and certification to Canadian standards of vehicles originally manufactured for distribution in the U.S. market that are being permanently imported into Canada. This web site provides access to information regarding vehicle admissibility, the importation process and the RIV program. RIV Website: Registrar of Imported Vehicles Ford Recall Clearance Letter MONEY-BACK-GUARANTEE MONEY-BACK-GUARANTEE if it's not as we've described online, we'll refund your deposit In order to provide our online customers with the confidence that the vehicle will meet their expectations when we deliver it to them, we offer a Money-Back-Guarantee Program: Option No. 1 - Pick-Up at Dealership: We invite you to leave a deposit, schedule your pick-up date & time (within 7 days) and prior to completing the transaction process; you or your representative will have the opportunity to test-drive the vehicle to ensure that it meets your expectations. If the vehicle does not match your expectations of it, we will cancel the transaction and refund your deposit. Option No. 2 - Vehicle Transport: We can provide door-to-door transport nationwide. If you elect for us to transport the vehicle to you, we still guarantee that the vehicle will arrive in the condition as it was described online. We invite you to leave a deposit, send full payment (including transport cost) and we will arrange the shipping for you. Once the vehicle arrives, you or your representative will have the opportunity to test-drive the vehicle to ensure that it meets your expectations. If the vehicle does not match your expectations of it, you can notify us within 24-hours from the date & time it was received and we will schedule return transport. Once the vehicle & vehicle's title arrive back to us, we will issue a refund of the vehicle's purchase price less all transport costs. Please Note: This program is not a warranty and only applies to the time periods as described above. National Auto Warehouse | 11060 Terrapin Station Lane Knoxville, Tennessee 37932 Sports Car, Wagons, SUVs, Diesel Cars, Diesel Trucks Ad created by eCarList.com. Call 214-722-8200 to find out how eCarList can service your dealership. 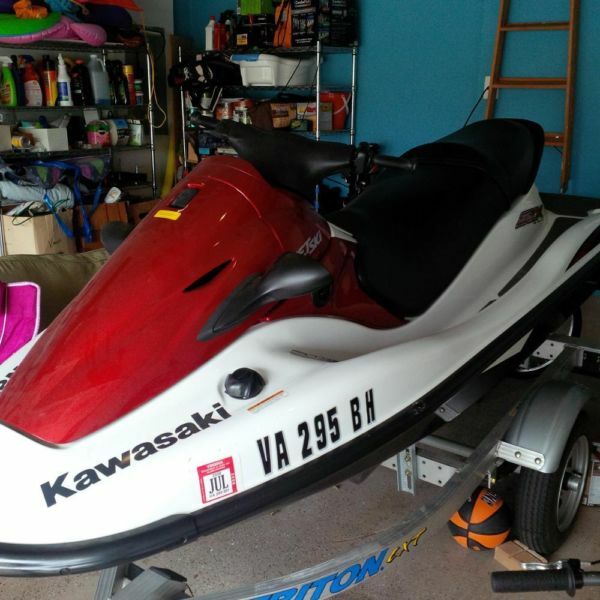 2001 KAWASAKI ZXi 1100 1100 ZXi 2001 Kawasaki ZX1 1100 Jet Ski Personal Watercraft Jetski 01 PowerSports Boat Vital Information Year Make Model Mileage Engine 2001 KAWASAKI ZXi 1100 1100 ZXi 0 1071cc 3-cylinder Exterior Interior Stock# VIN Yellow Black #58B101 KAW31758B101 view window sticker View All Photos Description 2001 KAWASAKI ZXi 1100 1100 ZXi NATIONAL AUTO WAREHOUSE 11060 Terrapin Station Lane Knoxville, TN (865) 245-4524 ---------------------------------------------------------------- This 2001 Kawasaki ZX1 1100 is proudly offered to you for sale by National Auto Warehouse. 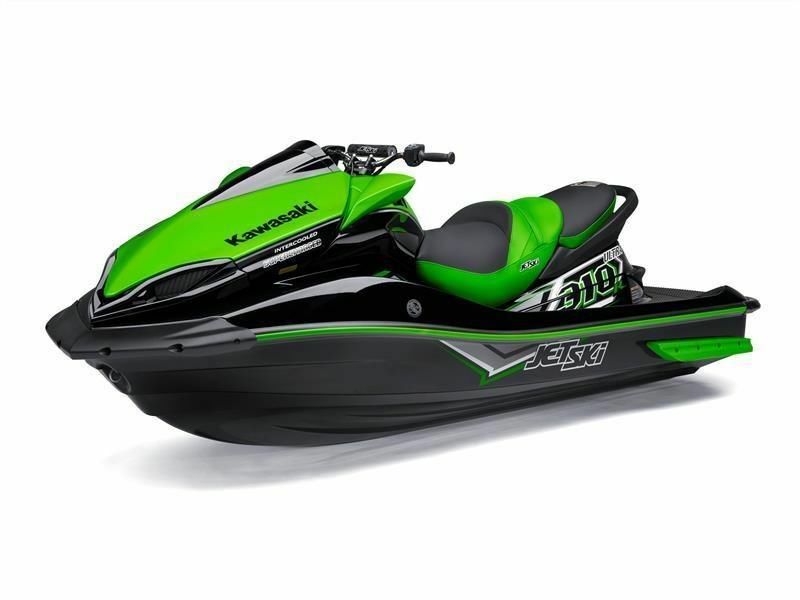 ---------------------------------------------------------------- For personal watercraft enthusiasts who want to spend less and buy more, the 2001 Kawasaki 1100 ZXi is the perfect watercraft. The high powered boat delivers maximum performance and state of the art features at a price point that's pleasing to the pocketbook. With the 1100 ZXi you get increased fuel economy, precise turning and analog instrumentation, plus other added features like convenient storage compartments and a large capacity fuel tank. 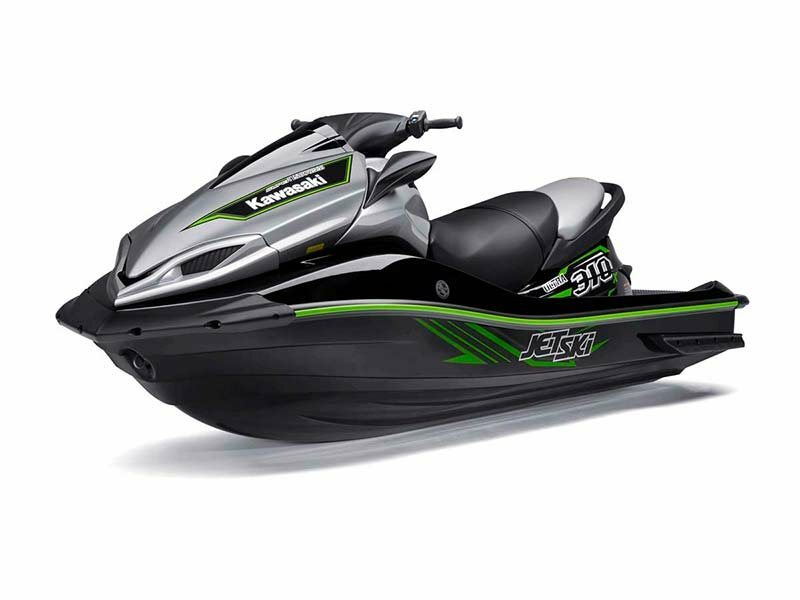 For water sports enthusiasts looking for a high performance boat filled with convenient features at an affordable price, the 2001 Kawasaki 1100 ZXi offers an exceptional value. LENGTH 108.7" HEIGHT 39.3" WIDTH 42.1" WEIGHT 589 lbs. ENGINE 1071cc, 2-stroke, 3-cylinder with crankcase reed valve induction HORSEPOWER 120hp @ 6750rpm DISPLACEMENT 1071cc BORE X STROKE 80.0 X 71.0mm COMPRESSION RATIO 5.8:1 CARBURETION Triple Keihin CDCV 38s with single fuel pump FUEL TANK CAPACITY 13.7 gal. including 1.8 gal. Reserve IGNITION Digital CDI STARTER Electric LUBRICATION Superlube Oil Injection OIL CAPACITY 1.0 gal PROPULSION SYSTEM Jet pump, axial flow, single stage THRUST 803 lbs. ---------------------------------------------------------------- For more information please call or email John or Brent (865) 245-4524 ---------------------------------------------------------------- Directions: Take Interstate 40 West to Exit 374 Lovell Road. Take Right onto Lovell Road and go about One Mile. Take Left onto Terrapin Station Lane. National Auto Warehouse is at the End and on the Left. ---------------------------------------------------------------- Contact Us Dealer Contact National Auto Warehouse John john@nationalautowarehouse.com 865-244-6829 Other Vehicles Currently Available Used Cars Knoxville, TN Welcome to National Auto Warehouse National Auto Warehouse (NAW) was founded in 2005. NAW is a family owned and operated independent pre-owned vehicle dealership. Ever since opening the doors, our mission has been to provide our customers with top quality vehicle brands and sell them at a reasonable price. We list our vehicles for sale on several web-sites, providing detailed descriptions with plenty of photographs. We sell locally, out-of-state and internationally. We offer nationwide door-to-door transport, free local shuttle service from McGhee Tyson Airport and access to local Budget, Enterprise and National rental car companies. Our reputation, technical knowledge and experience in specialty markets, such as Diesels and Hybrids have led us to expand and provide everyday automotive repair services. We service all European & Asian vehicles. We also specialize in servicing domestic and foreign Diesel cars and trucks. Pre-Owned Sales Department Let us serve you by finding a reliable and safe vehicle. From A to Z, we've got you covered. Our entire inventory of vehicles have been professionally inspected and serviced. Need a Carfax? No problem, as a Carfax Advantage Dealer, each and every vehicle comes with a FREE vehicle history report. Warranty? every vehicle we sell, comes with a limited warranty. Can't find what you're looking for in our inventory? Give the Sales Team a call, we're excited to hear from you and appreciate the opportunity to earn your business. Local: (865) 245-4524 Toll-Free: (800) 971-7492 Email: sales@nationalautowarehouse.com Service / Parts Department National Auto Warehouse's Service Department's mission is to provide you with FREE estimates on any service to keep your car optimized for the best performance and regular routine maintenance. Whether you need an oil change, new tires, tune-up, brakes or any other services, we provide a FREE inspection and FREE estimates on any repair(s). National Auto Warehouse will beat any franchise dealership's written estimate by at least 20% (tires are excluded) Own a Hybrid? We service all Hybrid makes and models. Need parts? We have alternative options to help you find the accessories and/or parts you are looking for at a fraction of the cost the dealerships want you to pay. Our Service Department's commitment is to provide you with superior service. To schedule an appointment or for general information, please call us at your convenience. Local: (865) 245-4524 Email: service@nationalautowarehouse.com Visit our National Auto Warehouse Service Department Facebook page National Auto Warehouse | 11060 Terrapin Station Lane Knoxville, TN 37932 Used Cars Knoxville TN National Auto Warehouse provides a large selection of Used Cars and Trucks for sale. We also offer Auto Repair Services TERMS & CONDITIONS $300 DEPOSIT: Due within 48-hours from the date & time the auction ended We accept: PayPal or Credit Card (Visa, Master Card, and American Express) DEALER FEE: $99 dealer-processing fee will be added to the purchase price TAXES: If vehicle will be registered in the State of Tennessee, we will collect TN taxes If vehicle will not be registered in the State of Tennessee, we will not collect taxes FULL PAYMENT: Due within 7-days from the date & time the auction ended We accept: Cashier's Check, Bank Loan-Check, Money-Order (not recommended), Certified Bank Funds, Bank Wire-Transfer, and Cash (in-person only) TEMPORARY TAG: This vehicle comes with a temporary tag Temporary tags are valid in all 50-States TITLE: This vehicle will be sold with a clear title (no current liens) Payment will be validated prior to release of the Title VEHICLE PICK-UP: Please contact us at least 24-hrs in advance of your arrival phone: (800) 971-7492 TERMS OF WARRANTY: This vehicle is being sold "As-Is" with no warranty implied by the seller, National Auto Warehouse, Unless otherwise stated in the description. INSPECTION Each pre-owned vehicle is inspected to evaluate the condition of its exterior, interior & mechanical components Photographs have been provided to show the vehicle's overall condition. Pre-owned vehicles will have components that exhibit typical wear per age & mileage. Inspections include, but are not limited to the following: Mechanical Components: engine, transmission, exhaust, Air Conditioning (A/C), electrical, suspension, steering & cooling Exterior Components: paint, glass, body panels & roof Interior Components: seats, carpet, headliner, dash, and factory-installed power-features Accessory Items*: Pre-Owned vehicles may not have all of the originally included accessory items; therefore, accessory items not shown in photographs are not guaranteed to be included *Accessory items include: vehicle manuals, multiple keys, remote keyless-entry fob(s), radio codes, CD/DVD cartridges, floor mats, locking lug-nut keys, lighters, cargo area cover(s), cargo net(s), prior service records, tools, first aid kits, soft top boots, etc... MILITARY TAX EXEMPT POLICY Notice to Members of the United States Armed Forces Members of the armed forces stationed at Fort Campbell, Kentucky are considered stationed in Tennessee Tenn. Code Ann. 67-6-303 EXEMPTS FROM SALES AND USE TAX the sale of motor vehicles to members of the armed forces who fall into any one of the following five categories: Members of the United States Army, Navy, Air Force, Marine Corps, or Coast Guard who are engaged in active, full-time military service and are stationed in Tennessee. Members of the Tennessee National Guard who are engaged in active, full-time military service as participants in the Active Guard and Reserve Program (AGR) and are stationed in Tennessee. This category does not include any member who serves on a part-time basis or who is otherwise not a participant in the Active Guard and Reserve Program. Reserve members of the United States Army, Navy, Air Force, Marine Corps, or Coast Guard, who are engaged in active, full-time military service as participants in the Active Guard and Reserve Program (AGR) and are stationed in Tennessee. This category does not include any member who serves on a part-time basis or who is otherwise not a participant in the Active Guard and Reserve Program. Members of the Tennessee National Guard who have been called into active military service of the United States and are stationed in a combat zone; provided that the exemption will commence from the effective date of official military orders assigning such individual to the combat zone and will expire ninety (90) days after the effective date of official military orders releasing him or her from the combat zone. Reserve members of the United States Army, Navy, Air Force, Marine Corps, or Coast Guard who have been called into active military service of the United States and are stationed in a combat zone; provided that the exemption will commence from the effective date of official military orders assigning such individual to the combat zone and will expire ninety (90) days after the effective date of official military orders releasing him or her from the combat zone. For more information, please visit www.Tennessee.gov/revenue BBB ACCREDITED BUSINESS CANADIAN BUYER INFORMATION The Registrar of Imported Vehicles (RIV) was created to establish and maintain a system of registration, inspection and certification to Canadian standards of vehicles originally manufactured for distribution in the U.S. market that are being permanently imported into Canada. This web site provides access to information regarding vehicle admissibility, the importation process and the RIV program. RIV Website: Registrar of Imported Vehicles Ford Recall Clearance Letter MONEY-BACK-GUARANTEE MONEY-BACK-GUARANTEE if it's not as we've described online, we'll refund your deposit In order to provide our online customers with the confidence that the vehicle will meet their expectations when we deliver it to them, we offer a Money-Back-Guarantee Program: Option No. 1 - Pick-Up at Dealership: We invite you to leave a deposit, schedule your pick-up date & time (within 7 days) and prior to completing the transaction process; you or your representative will have the opportunity to test-drive the vehicle to ensure that it meets your expectations. If the vehicle does not match your expectations of it, we will cancel the transaction and refund your deposit. Option No. 2 - Vehicle Transport: We can provide door-to-door transport nationwide. If you elect for us to transport the vehicle to you, we still guarantee that the vehicle will arrive in the condition as it was described online. We invite you to leave a deposit, send full payment (including transport cost) and we will arrange the shipping for you. Once the vehicle arrives, you or your representative will have the opportunity to test-drive the vehicle to ensure that it meets your expectations. If the vehicle does not match your expectations of it, you can notify us within 24-hours from the date & time it was received and we will schedule return transport. Once the vehicle & vehicle's title arrive back to us, we will issue a refund of the vehicle's purchase price less all transport costs. Please Note: This program is not a warranty and only applies to the time periods as described above. National Auto Warehouse | 11060 Terrapin Station Lane Knoxville, Tennessee 37932 Sports Car, Wagons, SUVs, Diesel Cars, Diesel Trucks Ad created by eCarList.com. Call 214-722-8200 to find out how eCarList can service your dealership. FREE! Sellers: Add a FREE map to your listings. FREE!